If you are an importer of recordable media used for private copying, in accordance with Russian legislation you have to pay blank tape levy in favor of authors, performers and phonogram and audiovisual works producers. – Decree of the Russian Government «On Remuneration for the Free Reproduction of Phonograms and Audiovisual Works for Personal Purposes» of October 14, 2010, #829. Private copying levy shall not be charged from importers of professional equipment, which is not intended for home use. Russian Union of Rights Holders is a collective management organization, accredited in the sphere of blank tape levy collection on behalf of authors, performers and producers of phonograms and audiovisual works. You can contact us by tel. +7 (495) 988-50-89 or by e-mail: office@rp-union.ru. 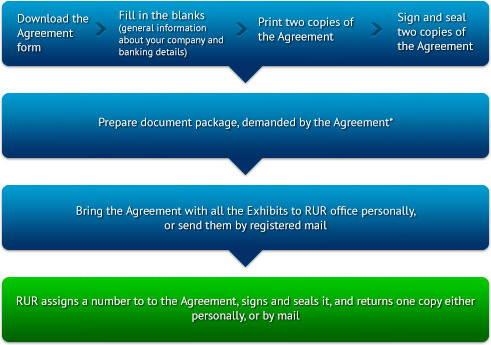 Power of Attorney – if the Agreement is signed by an agent. What is to be done after importing recordable media? – documentation confirming that the equipment is classified as professional, or is not intended for private copying. This documentation can include instructions on the use of equipment, operation manuals, technical documentation etc. 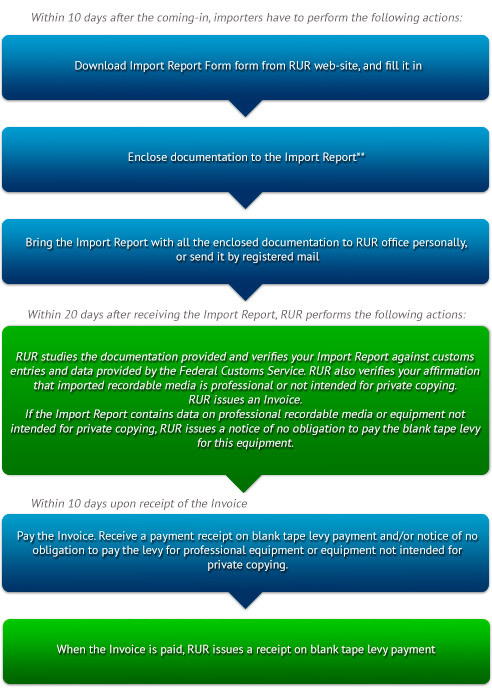 In some extraordinary cases RUR may demand additional documentation, necessary to verify equipment classification as professional or not intended for private copying.